Be sure your child gets a back to school eye exam. Lets face it its hard to get your child to wear glasses even if they need them they are still not into wearing them they say its dorky to wear glasses. As parents its our job to try to convince our children that glasses make a great fashion statement and with Glassesshop.com they make that job easy. Glassesshop.com has glasses separated by style, material, and frame type. 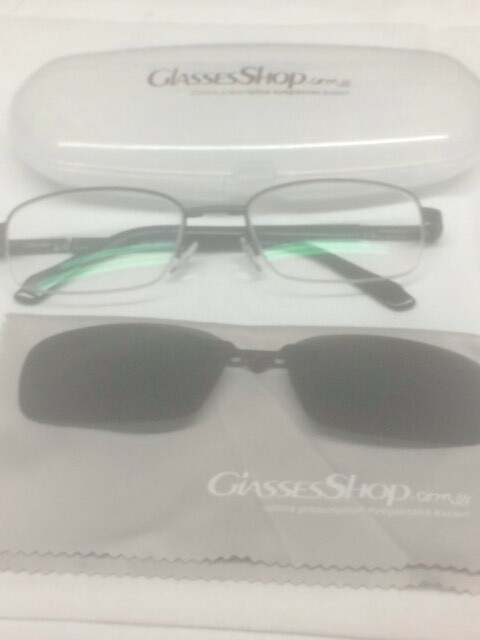 Glassesshop.com makes it easy when trying to find the perfect pair of eyeglasses for you or a loved one they have a huge variety of eyeglasses online and also have a great selection of prescription sunglasses. We had the pleasure of getting to try their prescription glasses we tried the Humphrey Rectangle clip on Black for my husband he had been needing a pair for awhile since his had gotten broken. So we took this opportunity to get him a pair. Humphrey is a pair of rectangle eyeglasses is customized for male wearers. 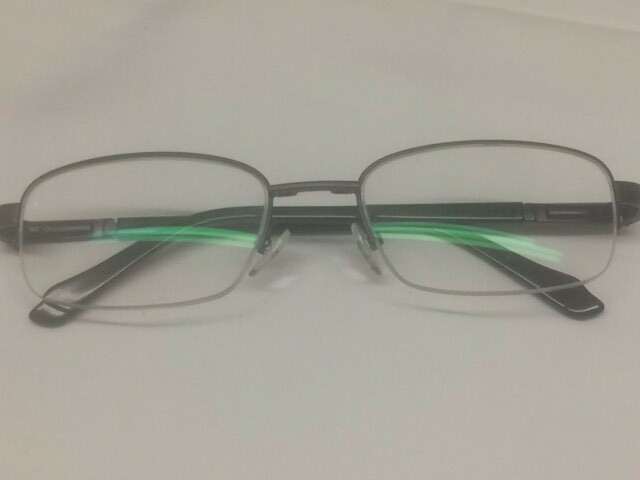 With a pair of removable polarized magnetic clip on, the metal eyeglasses are also can be used as sunglasses on the outside. This frame is also available in Golden color and suitable in both single vision and progressive. After ordering my frames & lenses (for which the store required my prescription and pupil distance), it took approximately two weeks for them to be ready and shipped. After shipping, They arrived in a small box, perfectly sized for eyeglasses. Inside was a clear plastic case with the GlassesShop.com logo on it, along with a microfiber cleaning cloth and of course the clip on sunglasses. Neat! The glasses looked exactly as they did on the website. Fits great and both sides are level with each other. Accurate prescription: No headaches or blurriness. I highly recommend GlassesShop.com for their incredibly unique and affordable frames. I will definitely be ordering some more glasses not only for myself, but also my kids in the near future. 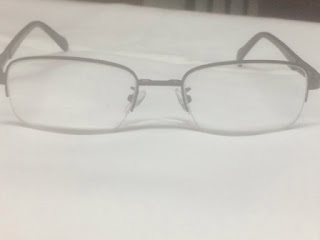 This in my opinion will make a great place to get the kids a back to school pair of glasses and with Glassesshop.com it wont be hard to convince them of how good they look in there new fashion statement. If you’d like to grab yourself a pair or prescription sunglasses or glasses from GlassesShop.com, then I have a special discount code for all my readers use this code: GSHOT50. 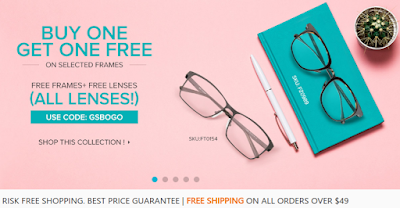 This code will get you 50% off for all eyeglasses and sunglasses with free lenses only throughout their website, with the exception of sales frames.